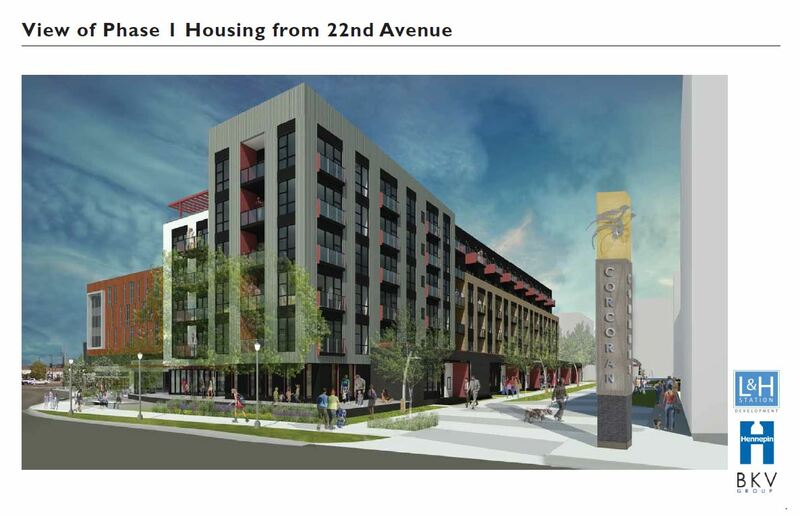 The plans for the L&H project will be brought to the Minneapolis Planning Commission for discussion at their February 26th meeting. 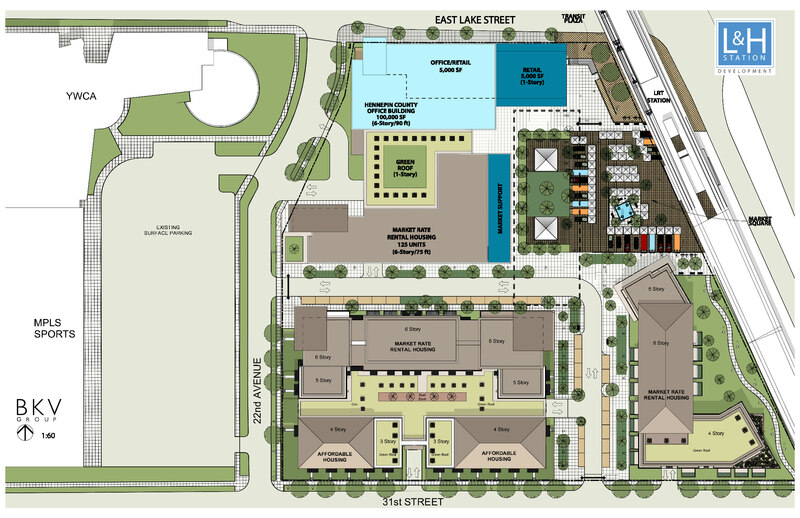 The first phase of the development — which has evolved based on extensive community consultation— would include a 100,000-square-foot Hennepin County regional service hub, 125 housing units, retail, and parking. This meeting will provide an opportunity to learn more about the project and make comments as the county advances the master plan to the city for approval. 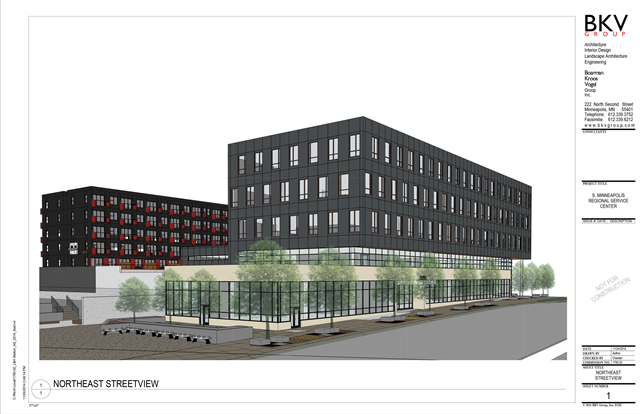 The Hennepin County Board has approved the purchase of the site at 2225 East Lake Street for construction of a regional human service center. 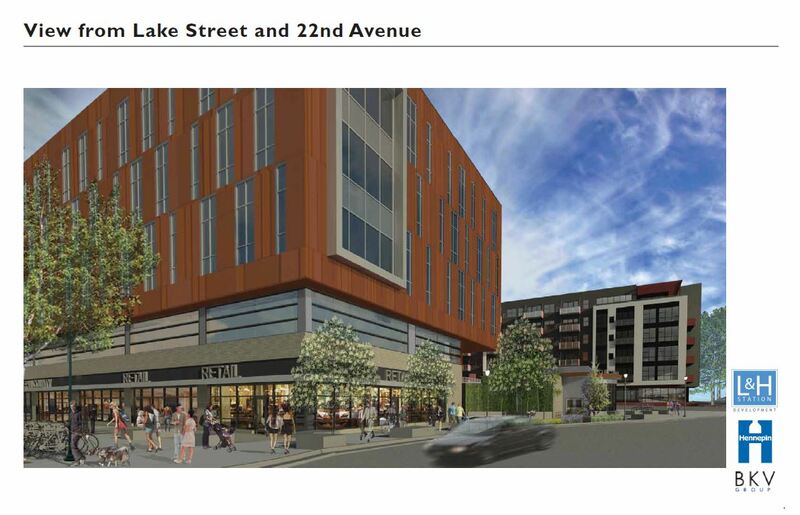 The project is now going through the city’s approvals process. 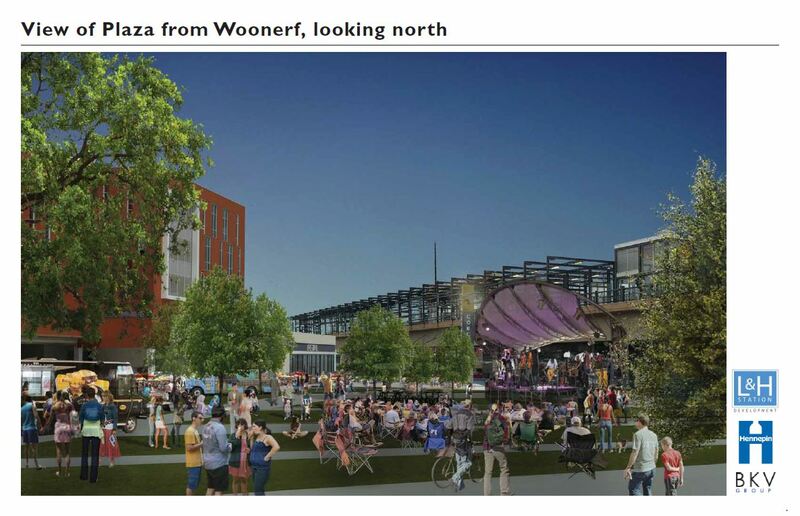 The farmers’ market would be temporarily relocated to another part of the site during construction. Additional construction on the site is expected to begin once the school district has vacated their building on the site. 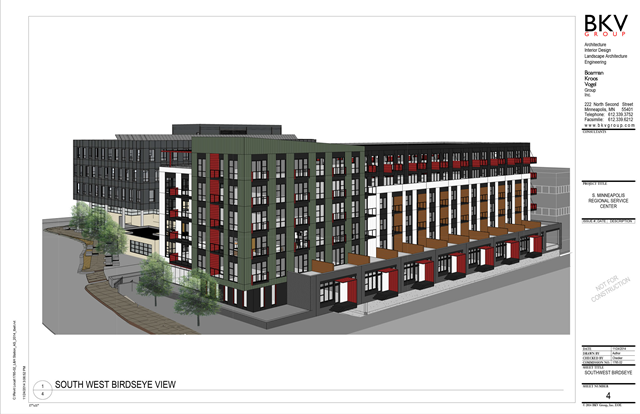 These phases would include construction of a plaza on the northeast portion of the site (which would be used by the farmers’ market on market days) and around 450 additional housing units in several buildings. 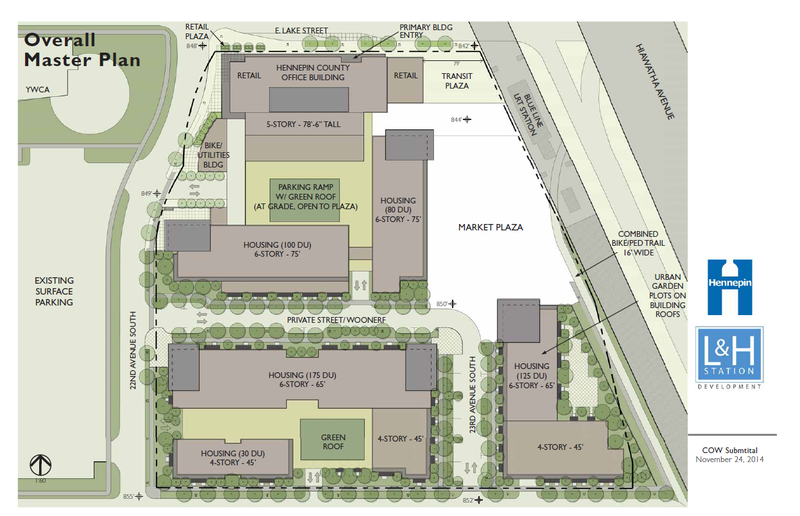 The site’s master plan is shown below. 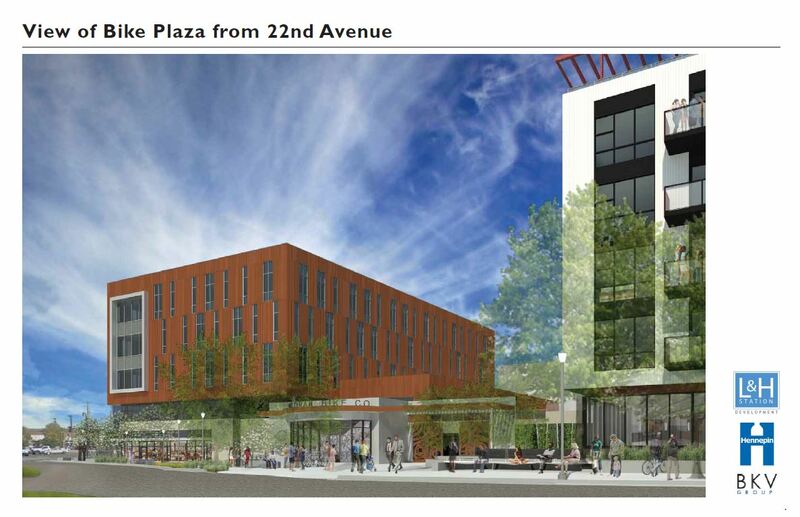 The Corcoran Neighborhood Organization will be convening a community meeting on Thursday, April 3 from 6 pm to 8 pm to talk about proposed plans to redevelop the 2225 East Lake Street property that currently houses the School District’s adult education center and farmers’ market. 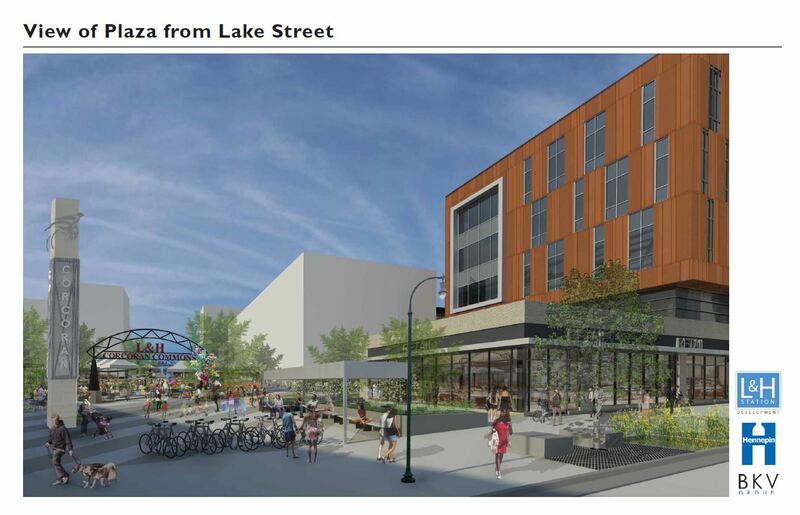 Hennepin County is proposing a multi-phase plan to redevelop the 6.4 acre property to include a Family Service Center along with new offices, retail, housing, parking, and space for the Midtown Farmers Market. Join us at the meeting on Thursday to learn more about the proposals and to ask questions. Childcare, Spanish interpretation, and light refreshments will be provided at the meeting.